Certain illnesses and injuries—and the medications used to treat them—can have effects on the brain, causing problems with attention, learning, memory, behavior, socialization or emotional control. At CHOC Children’s, we offer comprehensive neuropsychological evaluations to assess cognitive function and recommend a treatment plan for children of all ages. A neuropsychological evaluation is an assessment of a child’s overall cognitive functioning. It is used to help determine the effects of an injury, illness or medication, and lay the groundwork for treatment, as well as provide a baseline for tracking a child’s improvement. An evaluation may include tests and observations that define a child’s strengths and weaknesses in various skills areas, such as attention, memory, perception, language and behavior. We use a number of assessment techniques, including written worksheets, interactive computer testing and one-on-one interviews with the child and family. An evaluation typically lasts about the length of a school day and can be done in one sitting or over several days, depending on a child or family’s needs. Once our neuropsychologists complete an evaluation, they meet with the child’s family to discuss the results, as well as provide a custom report that can be shared with the child’s pediatrician, referring physician and school. The report includes recommendations for treatment to help a child improve his or her overall cognitive function. We work closely with families to ensure that their child receives the recommended therapies. How do I know if my child should have a neuropsychological evaluation? A child may benefit from a neuropsychological evaluation if they have difficulties in learning, attention, memory, behavior, socialization or emotional control; if they have had a disease or developmental problem that affects the brain in some way; or if they have had a brain injury from an accident or birth trauma. The results of an evaluation can help explain why a child may be having problems and which areas of the brain have been affected. Our neuropsychologists use these results to create a profile of a child’s strengths and weaknesses and identify the skills that should be worked on. Often, we will draw on a child’s strong abilities to address weaker skills. Is a neuropsychological evaluation the same as a school psychological assessment? No. School assessments usually focus on addressing skills that are needed for academic success. The goal of a neuropsychological evaluation is to identify the child’s neuropsychological strengths and weaknesses and helps to determine appropriate interventions. How can I get a neuropsychological evaluation? Please talk to your child’s physician to discuss your concerns and ask for a referral to see a neuropsychologist. You can also call our office directly at 714-509-8481 and ask if your child might benefit from testing. Our neuropsychology team can work with you to determine your child’s needs. CHOC neuropsychologists are all formally trained in pediatric neuropsychology and bring more than 35 years of combined experience specializing in medically fragile children. 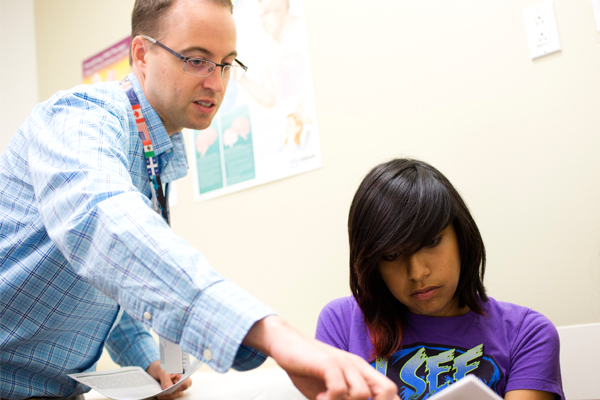 Our philosophy of care is to maximize every child’s potential for success. Our neuropsychologists also oversee pediatric neuropsychology training for doctoral and post-doctoral students. Meet our neuropsychologists. To make a neuropsychology referral to CHOC Children’s, please fax your child’s most recent clinic visit sheet, including the services requested. Some referrals may need prior authorization from a primary care physician or medical group.